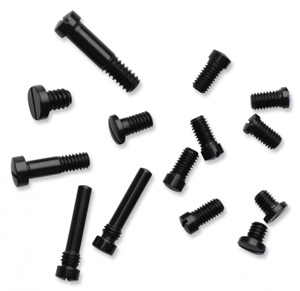 This screw kit is manufactured by Uberti for their 1851 Navy models. It will also replace most screws needed on the 1861 Navy, Open Top Navy, and C Mason Navy models. All screws included are blued steel. Refer to the full view schematic picture labeled with reference numbers for screw location. 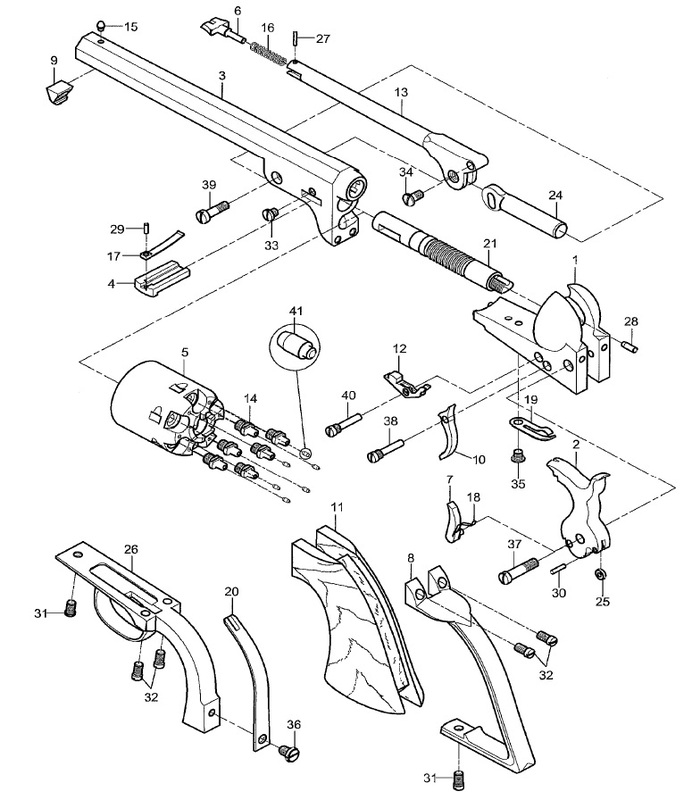 Includes: (2) #31 front triggerguard & bottom grip connect screw, (4) #32 rear triggerguard & backstrap screw, (1) #33 wedge screw, (1) #34 plunger screw, (1) #35 trigger & bolt spring screw, (1) #36 mainspring screw, (1) #37 hammer screw, (1) #38 trigger screw, (1) #40 bolt screw, and (1) #39 loading lever screw.